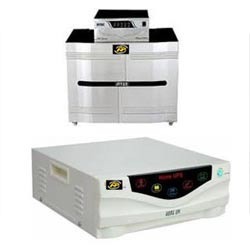 We specializes in providing quality assured Power Inverters. The product is highly appreciated for its longer service life and high quality. The product is available at reasonable rates and delivered within the specified time frame. This range is extremely helpful in supplying continuous power supply in case of blackouts. It is manufactured under the surveillance of our expert professionals who make sure that the finest quality raw material is utilized for the manufacturing process. Every product is quality tested on various parameters before delivery to the customers. We are looking for inquiries from South India region including Andhra Pradesh, Karnataka, Kerala and Tamil Nadu and cities like Bangalore, Chennai and Hyderabad. Our firm has gained expertize in manufacturing, trading, supplying and distributing a commendable range of Pure Sine Wave Inverters. Offered inverters are designed by our engineers with ultra-grade components. We conducted varied quality tests to ensure the compliance of the offered products in accordance with the industry laid norms. Besides, we are offering these products to our clients at reasonable price. Ours is a firm engaged in the manufacturing and supplying of a wide range of Solar Hybrid Inverters. Our inverters are based on standardized and optimum performance output so that maximum utilization of battery power is reached and exploited for the benefit of the customer. They are very reliable source of energy and are very Eco friendly. The product can be used for various purposes such as in houses, hotels, offices and many such places. Our organization is highly appreciated by our clients for manufacturing high quality Nantech Inverters at reasonable rates. 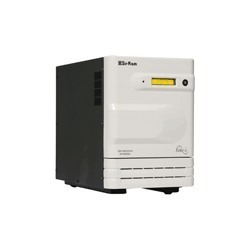 The highly advanced range of domestic inverters that we offer is available with 250 VA - 5 KVA power. It is manufactured keeping in mind the industry set standards for quality. 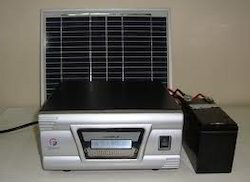 These are highly automated and automatically cut off the battery when overcharged or undercharged. Looking for Power Inverters ?